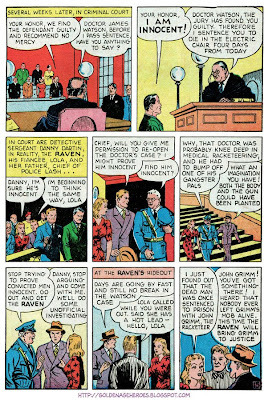 Golden Age Heroes: The RAVEN takes from the rich and gives to the poor! 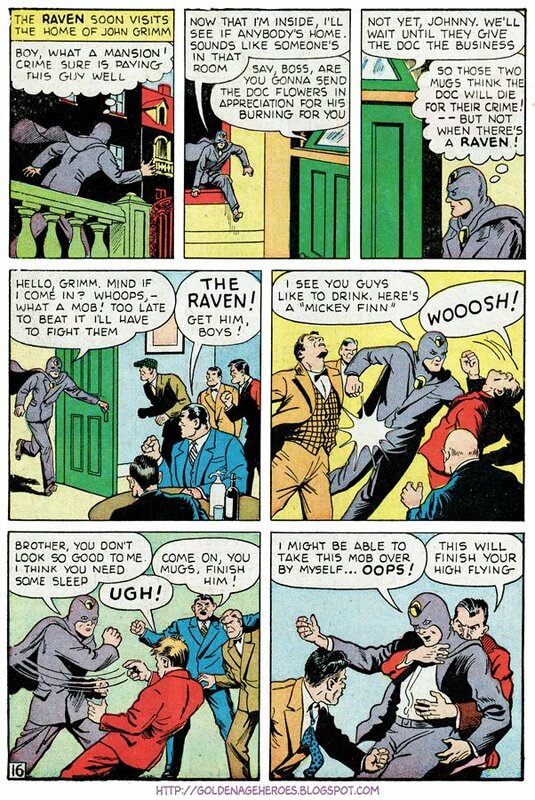 The RAVEN takes from the rich and gives to the poor! 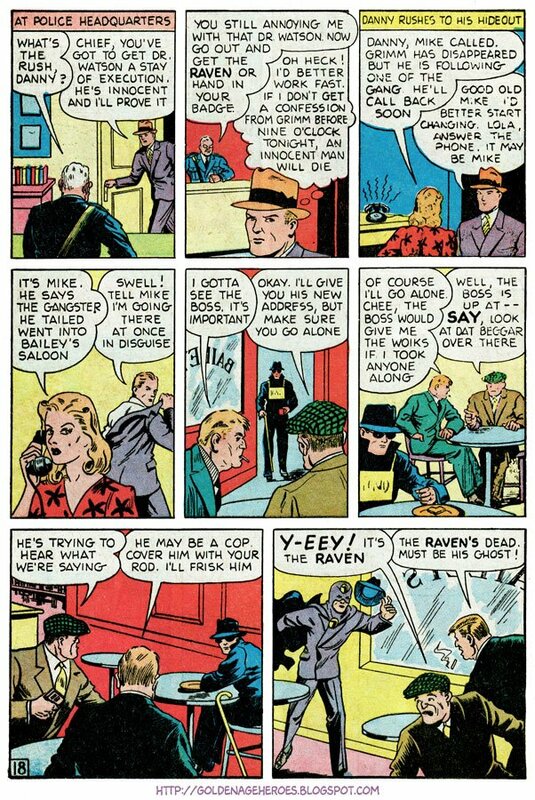 The Raven made 18 appearances during the golden age. 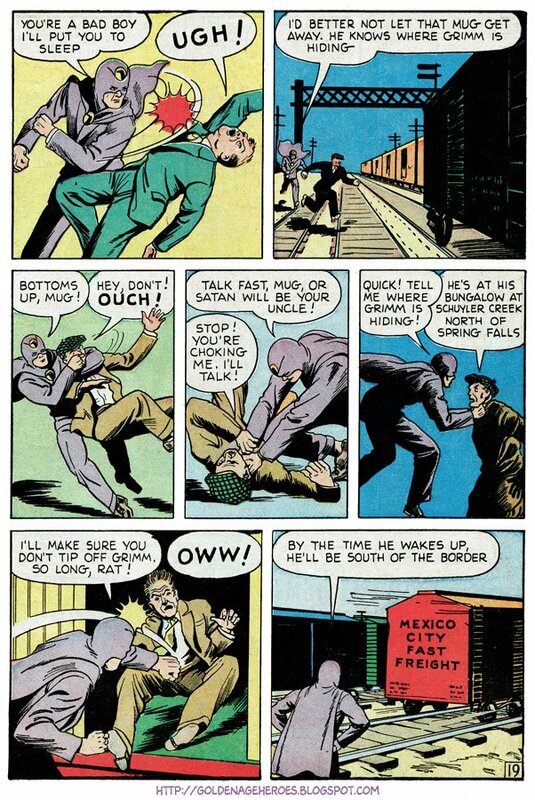 He debuted in SURE FIRE COMICS v1 #1 (June 1940) and appeared in all 4 issues (there were two #3s). 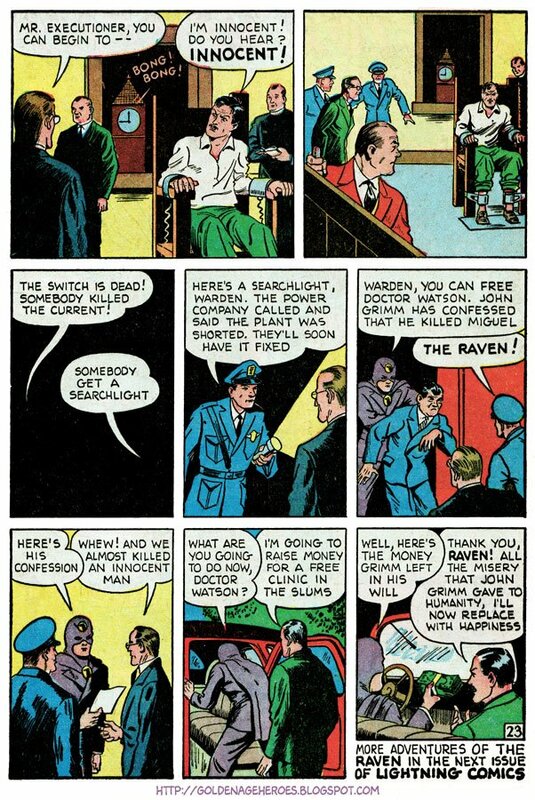 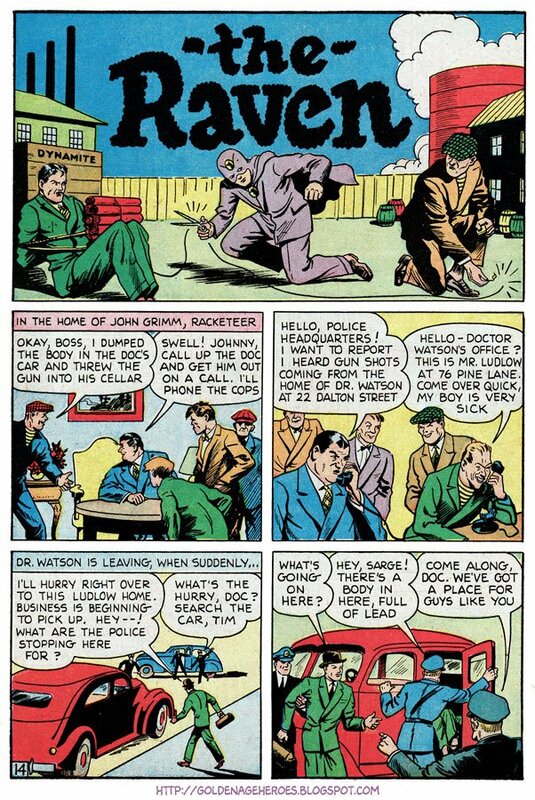 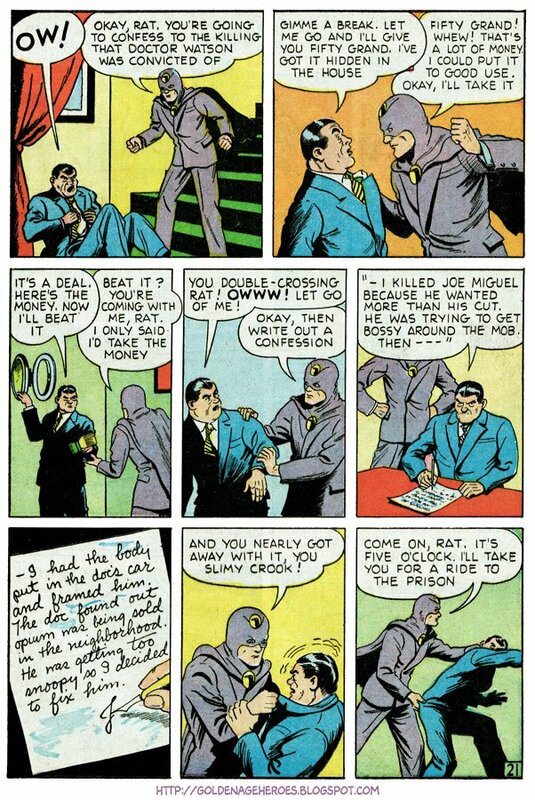 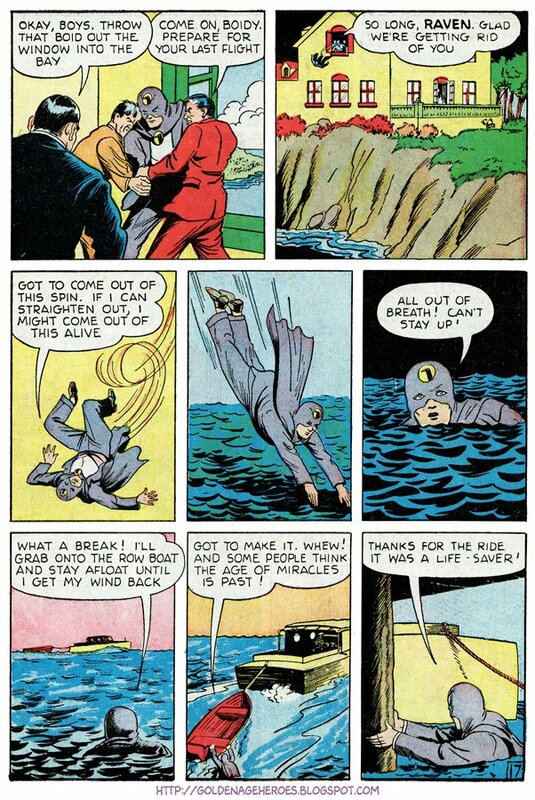 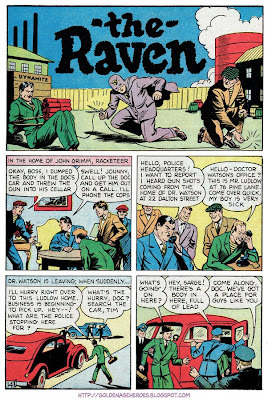 He kept his place when SURE FIRE became LIGHTNING COMICS and stayed there the entire run, v1 #4-v3 #1 (Dec 1940-June 1942). 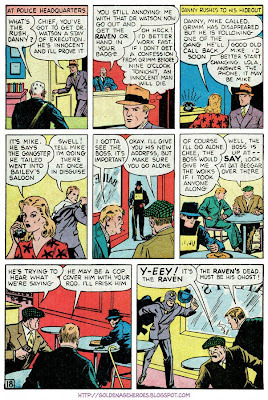 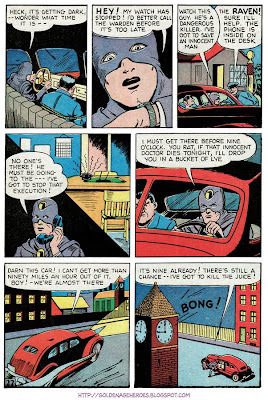 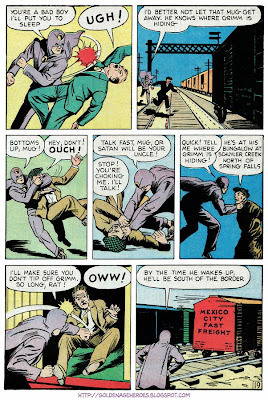 He also appeared in FOUR FAVORITES #1-4 (Sept 1941-Mar 1942). 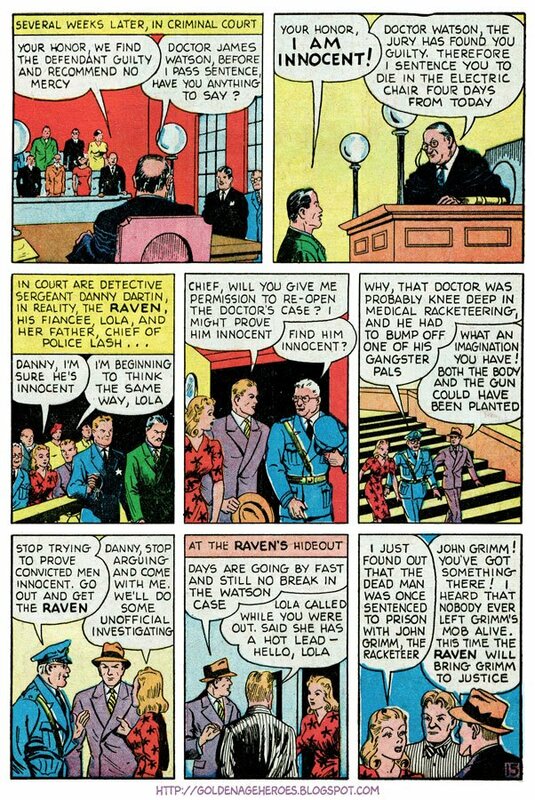 Danny Dartkin was a police officer who became the Raven to catch criminals who evaded the law. He didn't have any super powers. 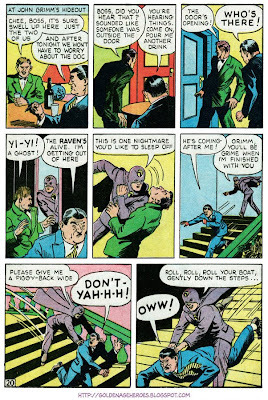 Read more about the Raven at International Hero.